If you wish to contribute to the site then please email the webmaster who can set you up with a login and password. Once this is in place you can login into the site. The username will be of the format JohnS (i.e. first name, first letter of surname). If you can’t remember your password then select “lost password” and an email will be sent to you to allow you to reset the password. All users of the site should be able to comment on existing posts. 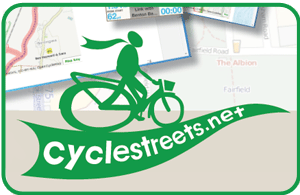 Members are able to post new topics that are of interest to other cyclists within Derby. In order to reduce spam, any new posts are queued for the moderator to authorise and are then publicly viewable. To add a new post, first login and then select “New” and then “Post” from the top of the page. If you have problems then please email webmaster@derbycyclinggroup.org.uk. If you find you don’t have a login then email webmaster@derbycyclinggroup.org.uk with your details and one will be set up. Please post information that you think will be useful to other members. Any posts may be edited for reasons of length, etc.. Any spam, abuse, or items way outside the scope of the group are likely to be deleted. You can add information about yourself (see “Edit my Profile”) and can add a picture, contact details, interests, etc.